Unfortunately, this is not the first mass shooting we as a nation have to mourn in recent years. On Saturday, October 27 at 9:50 a.m., 46-year-old, neo-Nazi, Robert Bowers entered a synagogue in Squirrel Hill Pittsburgh armed with multiple guns and an intent to kill as many Jewish worshipers as he could. Bowers was armed with an AR-15 style assault rifles and three handguns and ultimately killed eleven people. The first unit was dispatched to the scene four minutes after the attack started and first responders were able to arrive ten minutes after the shooting began. SWAT arrived soon after and later encountered Bowers on the third floor at 10:47 a.m. where Bowers shot two officers, critically injuring one. Law enforcement was finally able to apprehend Bowers alive, after shooting him several times. It was reported on the scene that he was shouting, “I want to kill Jews, they’re killing my people”. Bowers also tweeted before the shooting that he was “going in” and he was going to fight for his people. An FBI officer told reporters it was one of the most horrific scenes he had ever seen in all his years with the Bureau. 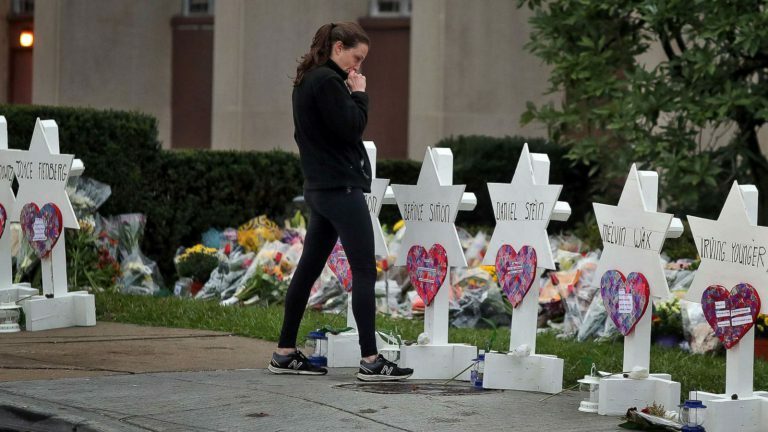 The 11 victims killed ranged in age from 54 to 97 all of which were at the synagogue attending a ceremony. Bowers himself faces a myriad of charges that could possibly include the death penalty of which federal prosecutors plan to pursue. This attack was the deadliest killing of Jewish people in U.S. history. After the attack, Trump said, “This wicked act of mass murder is pure evil” also “it’s a terrible, terrible thing what’s going on with hate in our country, frankly, and all over the world.” Although Trump has expressed how much he mourns with Pittsburgh and the nation, many residents and family in Pittsburgh had expressed they do not want him to attend funeral ceremonies. This attack along with attempted assassinations of democratic figure heads, and the cold-blooded killing of two African American citizens at a grocery complex show the horrible division and hate among Americans. We as a nation are living in historic times, all for the wrong reasons.